A new addition to the Honeycomb range is the Honeycomb retreat. A new addition to the Honeycomb range is the Honeycomb retreat. 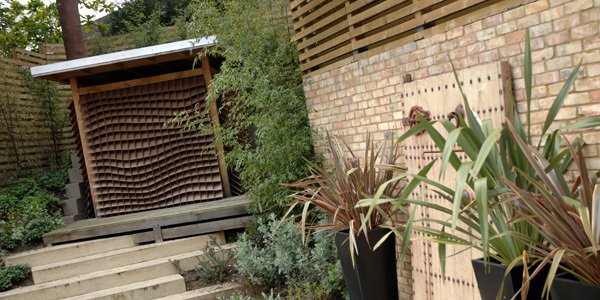 This garden building was developed for a new house in Hampstead. 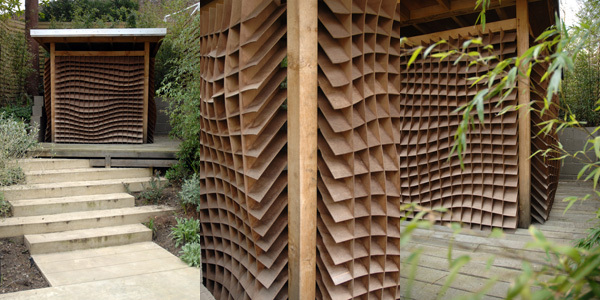 The retreat uses the honeycomb panels on three sides and sits within a green oak deck. The structure is a green oak pegged frame which is very durable and will last for many years, ageing to a silver grey finish.